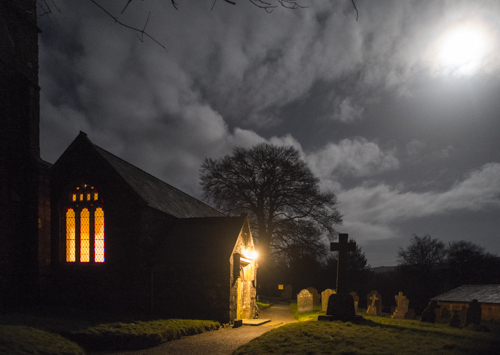 I’m pleased to see the CofE website carrying this picture of St Leonard’s Sheepstor. You can find it on Twitter at #photothursday on the CofE Website. Someone suggested it looks like Holman Hunt’s “Light of the World” picture. It certainly has the idea of the light shining in the darkness and the darkness has not overcome it – a thought we find in John’s Gospel prologue.